When we covered Advertising your Vacation Rental property, I mentioned that we have Blogs for both of our Vacation Rental properties. These are an inexpensive method of advertising. But they offer a lot more. There are many ways to setup a Blog. We use Blogger.com for ours, which is free and easy to get started. The only expenses are $10/year for the domain name, and the time it takes to write posts. One of the top 3 most popular all-time posts on our Beech Mountain Bliss Blog has been Free Sledding for the Kids in Beech Mountain. Each year plenty of people find this post searching for things like "beech mountain free sledding" on Google. We're able to provide some useful information, and if someone happens to be looking for somewhere to stay, they can easily click over to our Vacation Rental property web site. We spend as much time at our Vacation Homes as we can. And each time we visit, we learn more about the area, local restaurants and attractions. We also follow announcements from the town government and chamber of commerce. And we read online newspapers and magazines from both areas. In this way we learn about things that we might want to do, and also things we can suggest to our guests. Posting about these not only attracts traffic, but also shows how much we know about the area. Being recognized as an authority gives prospective guests more confidence when booking from us. But it also seems to help with with search engine placement. When you search on Google for "beech mountain free sledding" our Blog shows up as #2. Prospects and Guests often ask similar questions about the property and the area. We are able to answer their question and also point them to more details on our blog. It saves us time in answering the questions in detail multiple times. And it gets people onto our blog where they can learn more about the property and the area. 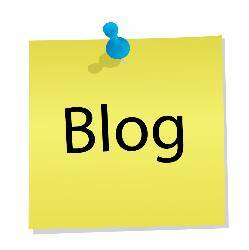 In a way the blog can become an extension to the guest book you leave in your property. It's also easy to update, or add a comment, when you learn something new about a place you've previously visited. When an inquiry comes in for dates that you can't accomodate, it's nice to be able to offer something. We offer to send them contact information for other properties in the area. And we mention our blog and how it offers information about the area. We then send them an email with this information. It helps them keep us in mind should they decide to change their dates, or if they are looking for somewhere in future. Hopefully this has given you some ideas for why you should start your own blog for your Vacation Rental property.